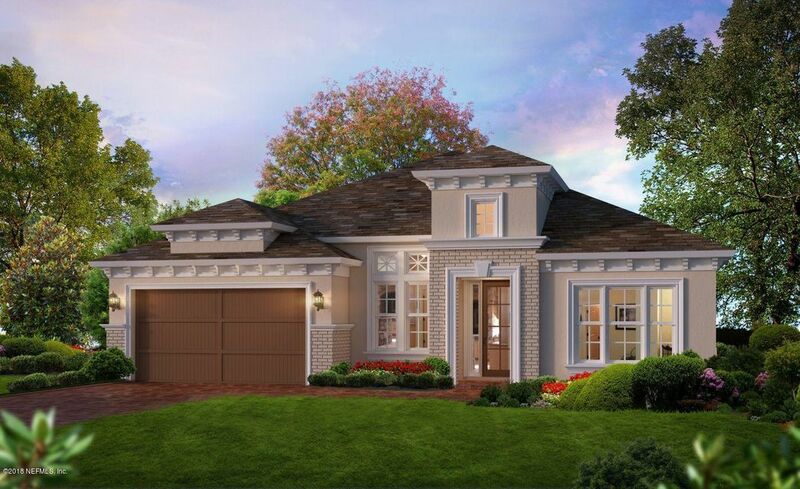 The Costa Mesa is a one-story home, just over 2,500 square-feet with 4 bedrooms and 3 bathrooms. This is a perfect home with room for everyone on a quiet cul-de-sac with a view of the pond. The open floor-plan allows for the gathering room, gourmet kitchen and dining room to be one expansive space sharing plenty of Florida natural sunlight. A quiet cup of coffee can be enjoyed on the covered lanai. A flex room is located at the front of the home that can be used as an office, study or den. Two bedrooms and a shared bath are located at the front of the home. The Owners Suite is situated on the other side at the rear of the home featuring a large walk-in closet, double vanities and a roomy walk-in shower. This home has been on the market since Jun 22,2018. Courtesy of ICI SELECT REALTY, INC..